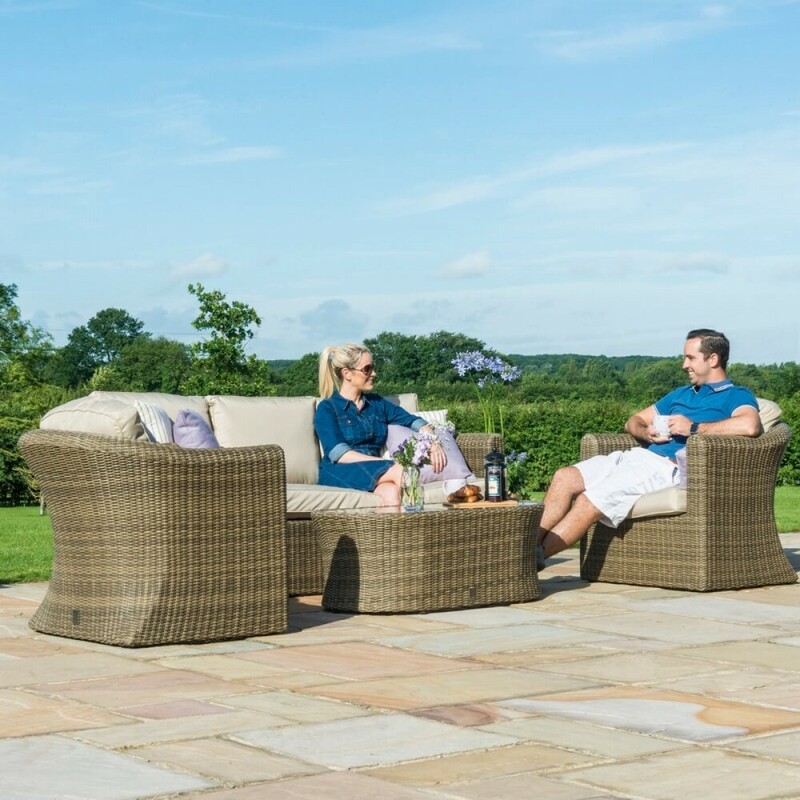 Why Choose the Winchester 3 Seater Sofa Set? 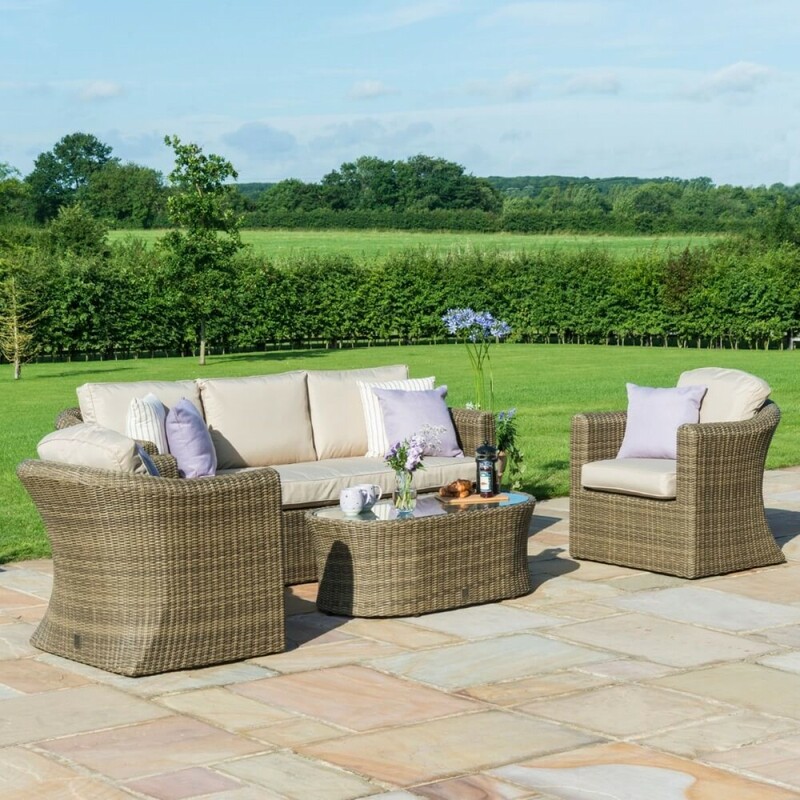 The Winchester 3 Seater sofa set contains a pair of rattan armchairs alongside a luxurious three seat sofa for maximum versatility in your seating arrangements. 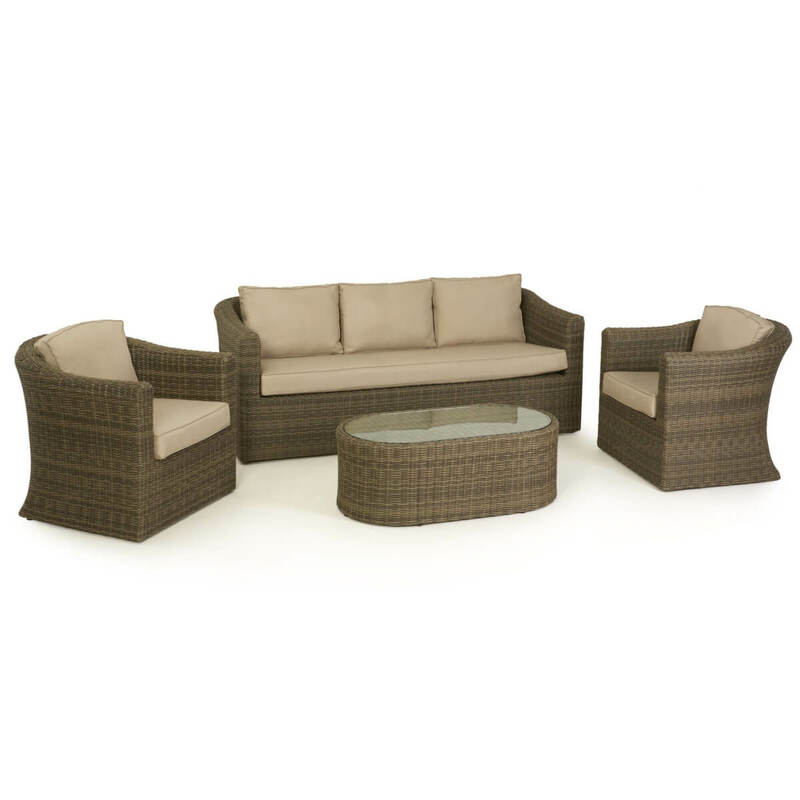 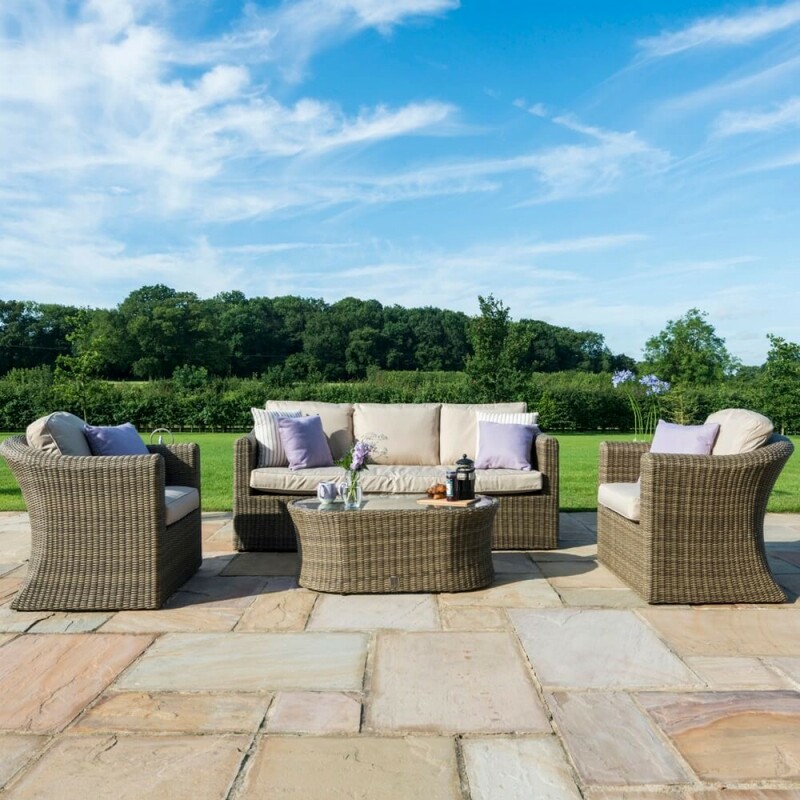 In addition the rattan set includes our large oval shaped coffee table, reflecting the classic Winchester aesthetic. 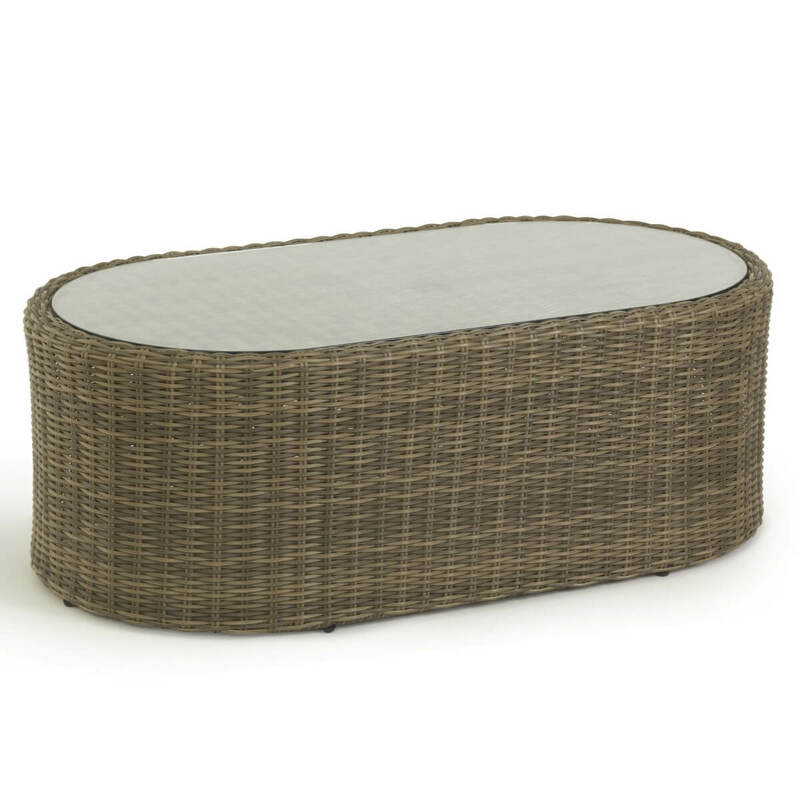 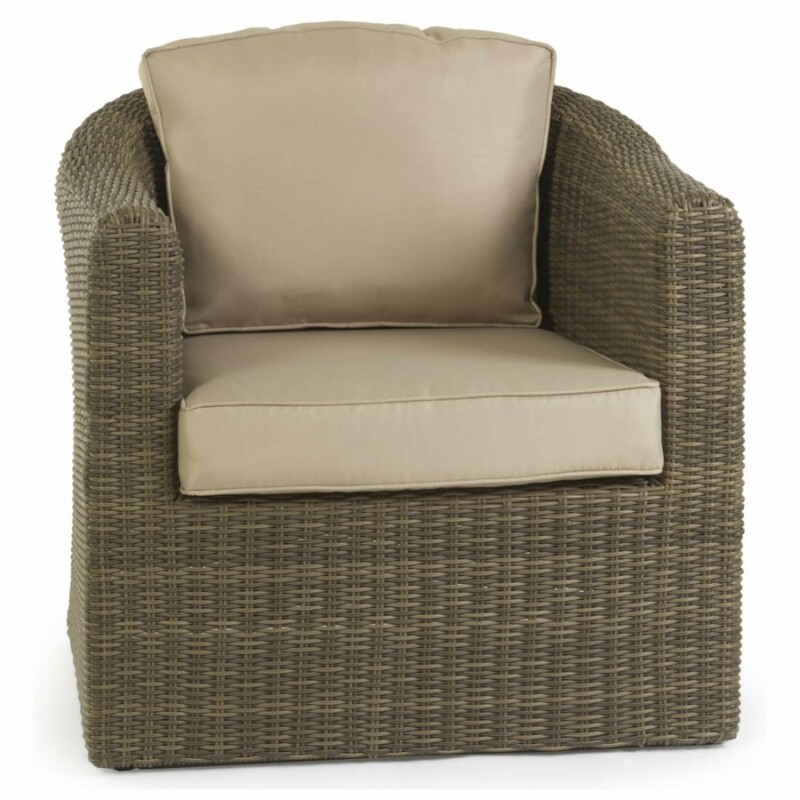 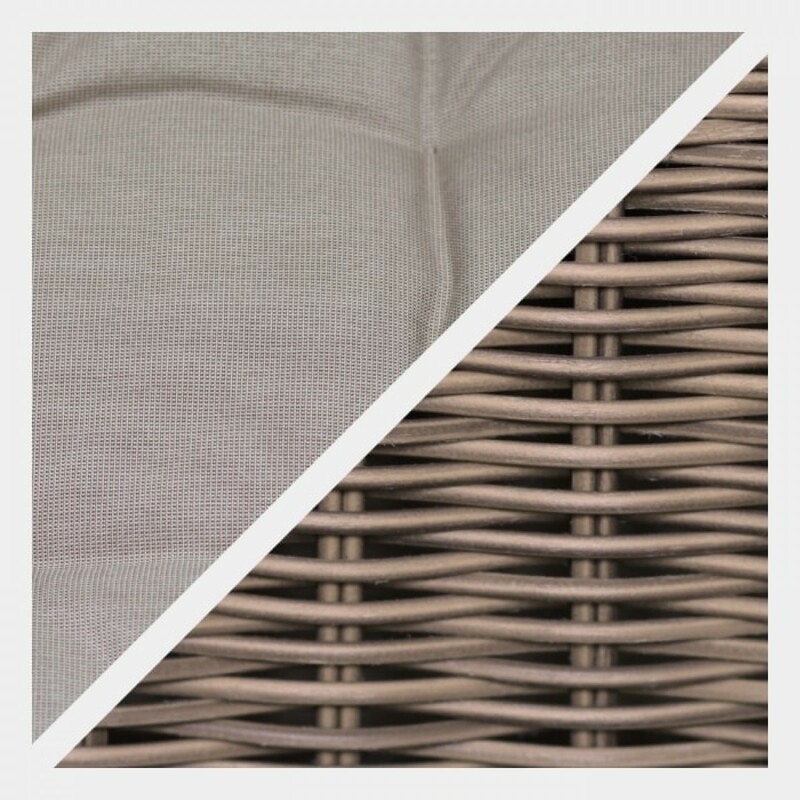 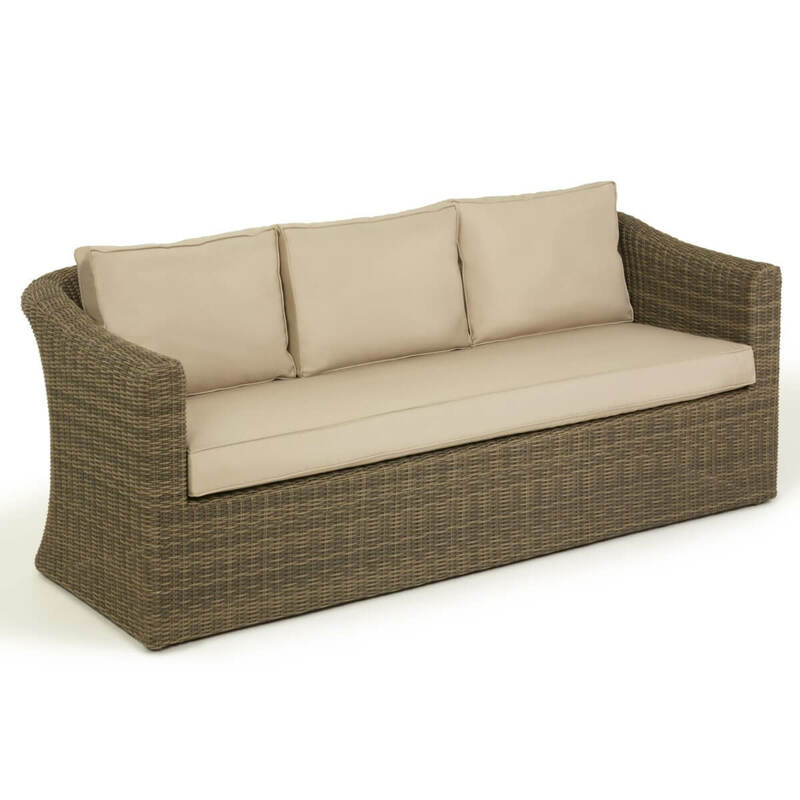 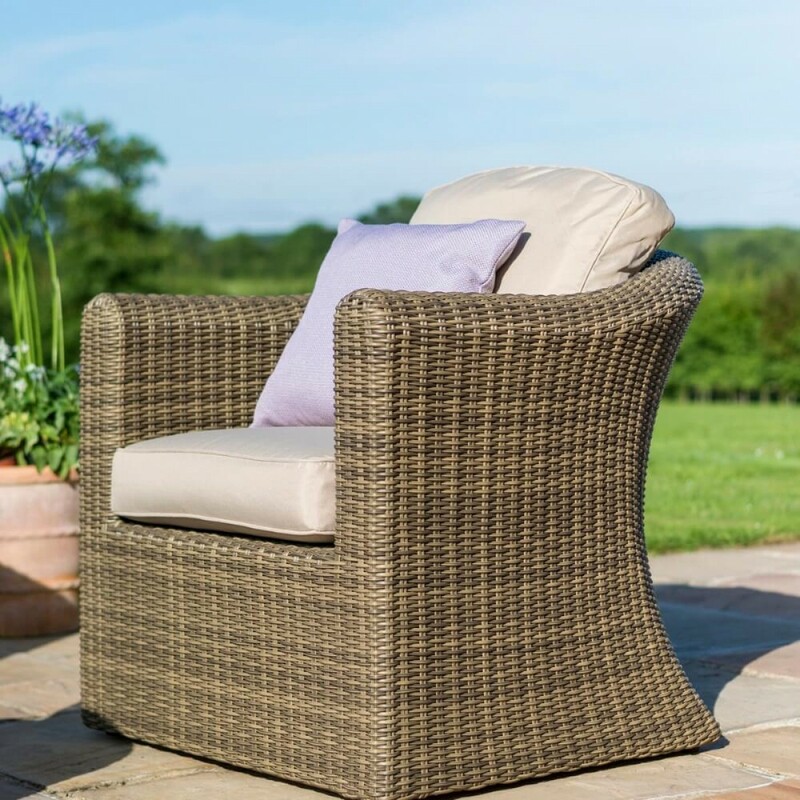 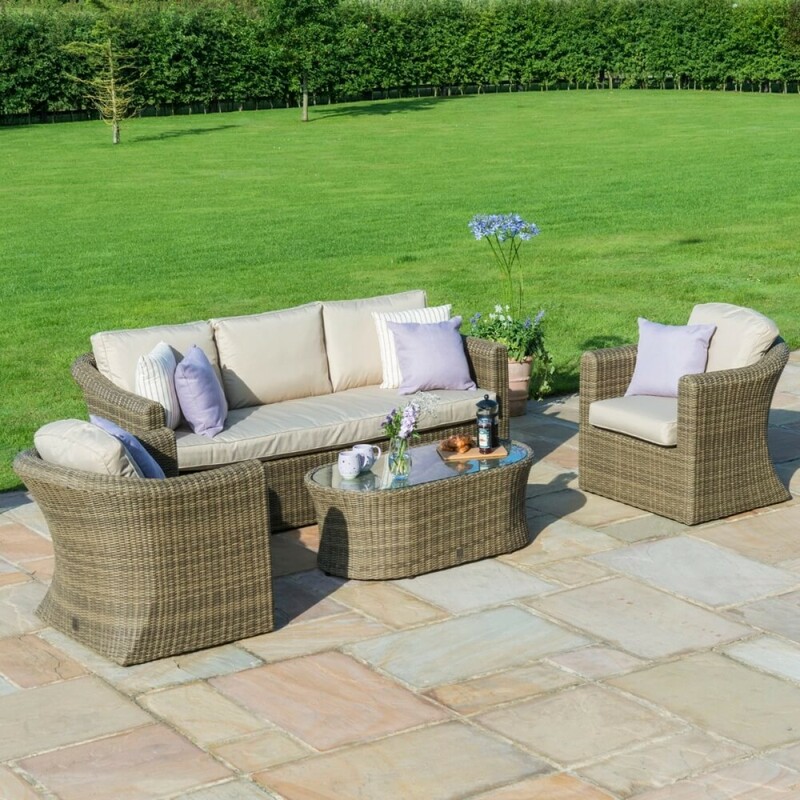 As with all Maze Rattan products, The Winchester Rattan Range is made from the highest quality material, woven onto a powder coated aluminium frame that ensures its use all year – even through the harshest weather.